I have been away from Jacksonville for a few months now, staying in the Orlando, Winter Park area. Although I miss my favorite spots at home, I have encountered some fantastic substitutes. Ming’s Bistro happens to be one of them. 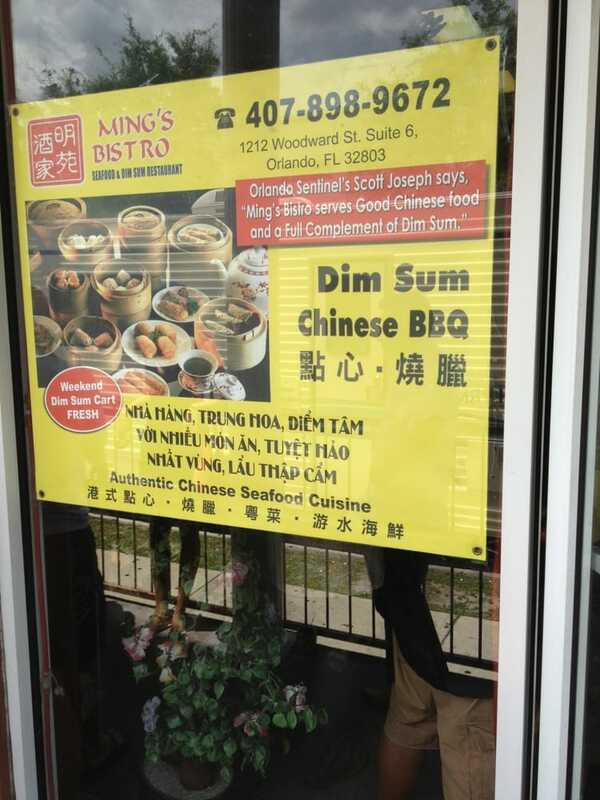 As a lover of all food Asian and especially Dim Sum this small, nondescript restaurant satisfied all my desires. We spent a leisurely Saturday indulging ourselves with some of the best small plates I have ever tasted. Old style Chinese, dark decor wood, lot’s of red lanterns with gold fringe a throwback to other days. Carts laden with exotic goodness many Americans have never seen or tasted. I was in heaven. The restaurant was full when we arrived but, we did not have a long wait. Once seated our host served us our drinks and presented us with menus for the kitchen items. All I was interested in was the carts flying past our table. Such beautiful sights and aromas wafting as the cart rolled by. All kinds of beautiful options were available to us. 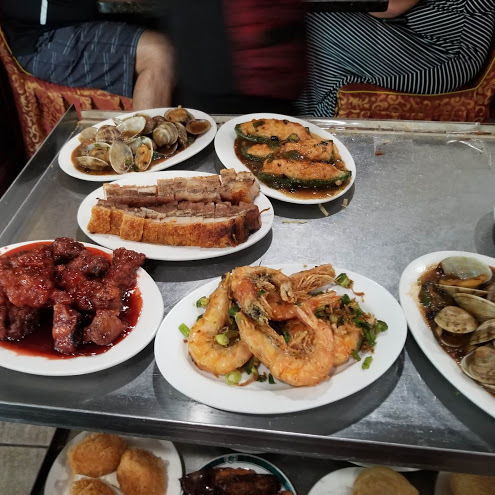 Once the cart arrived at our destination, we just start pointing at everything, knowing we were ordering way too much. Here are a few of the photos and thoughts on our selection. Pan Fried Chive Dumplings, lightly fried, sweet rice paper wrappers with a zesty chive filling. Always a must-have at our outings. Deep Fried Shrimp Balls, made from a seasoned shrimp paste mixture that’s formed into balls. They feature a crunchy exterior and a steaming hot, chewy interior. 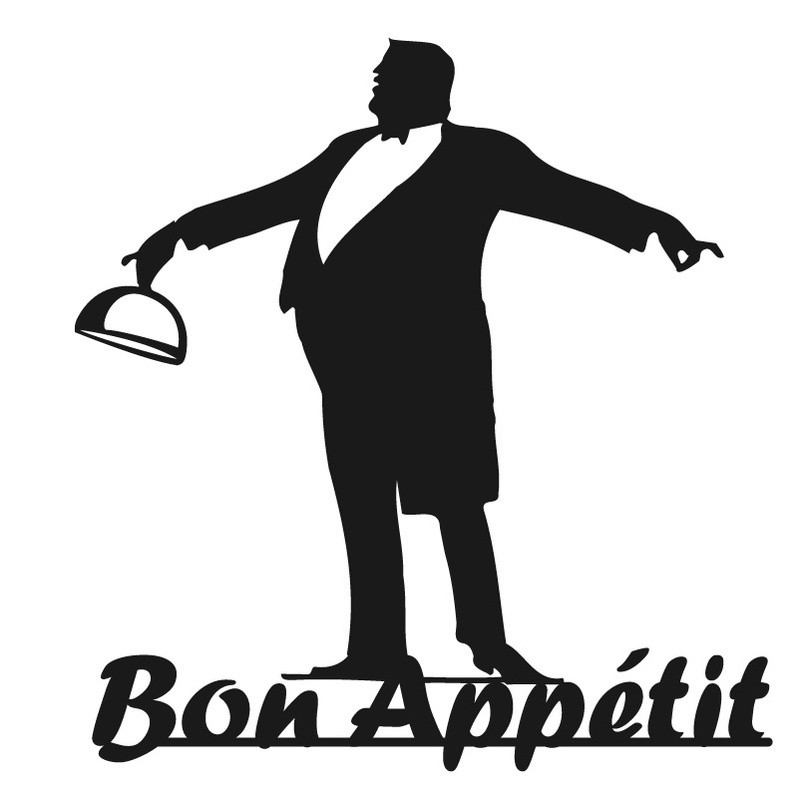 Best served right kitchen if possible. 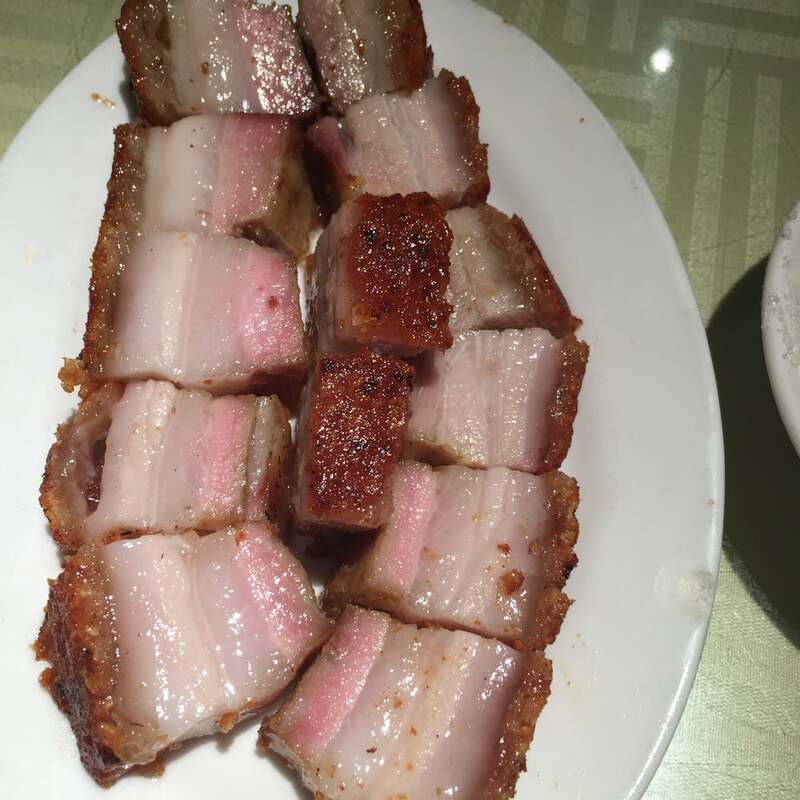 Crispy pork belly is one of my favorite Cantonese dishes. 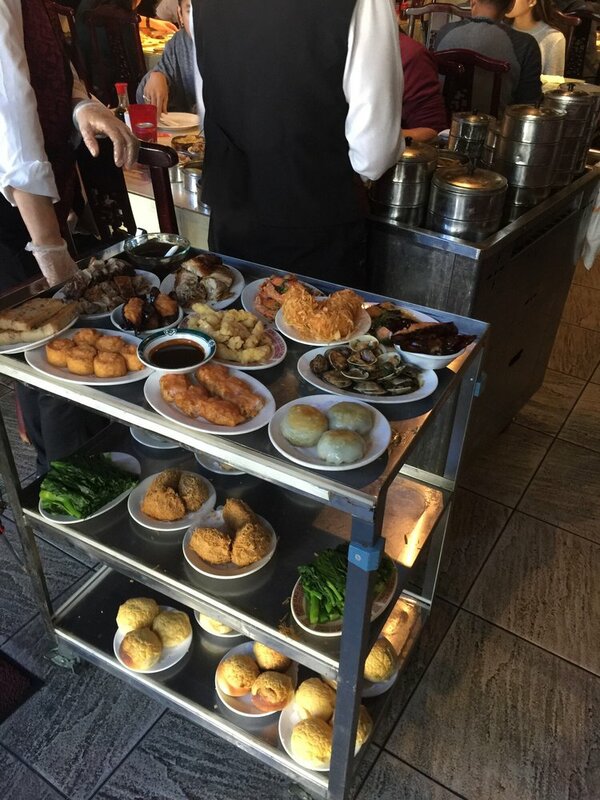 So very rich it can only be eaten in small amounts, that is why the Dim Sum sharing method works so well. 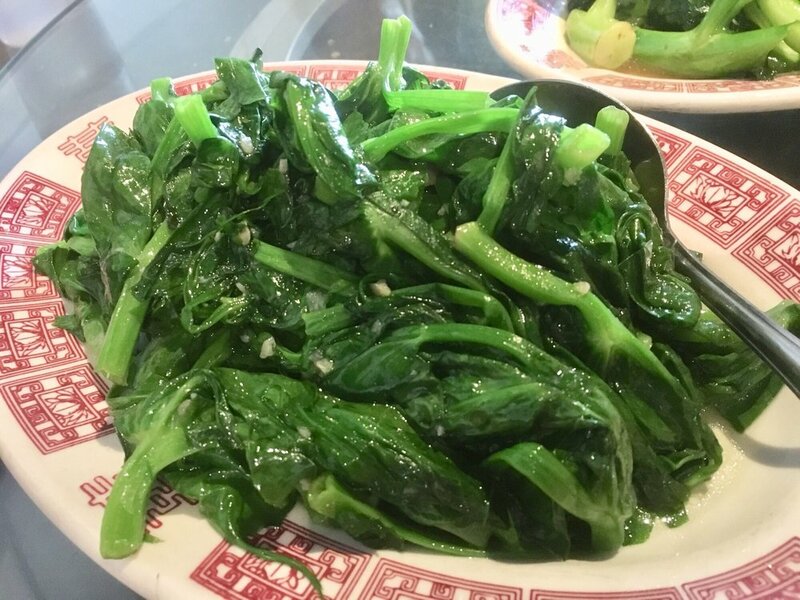 These wok fried Snow Pea Tips help temper the richness of the Crispy Pork, a small amount of Soy brought out more flavor. 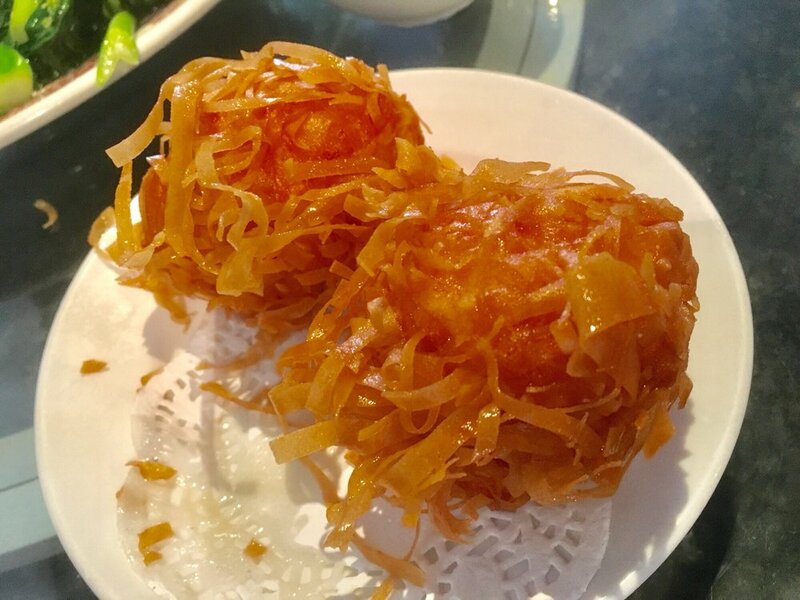 Sticky Rice wrapped in Lotus Leaves and stuffed with different ingredients is one of the most aromatic of the Dim Sum Dishes. 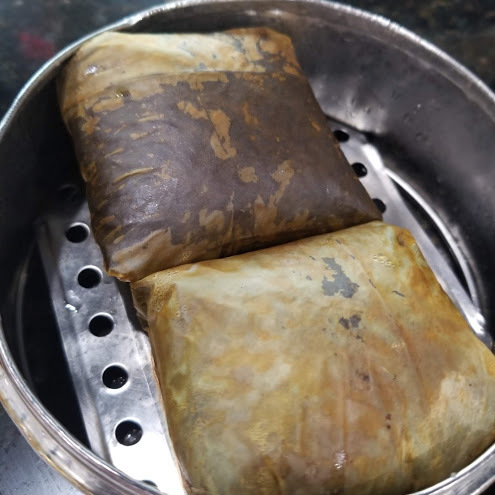 The rice is stuffed then wrapped in the leaf and steamed to perfection. When you unfold the wrapper, all the warm flavors come up to tease you. Again another favorite. 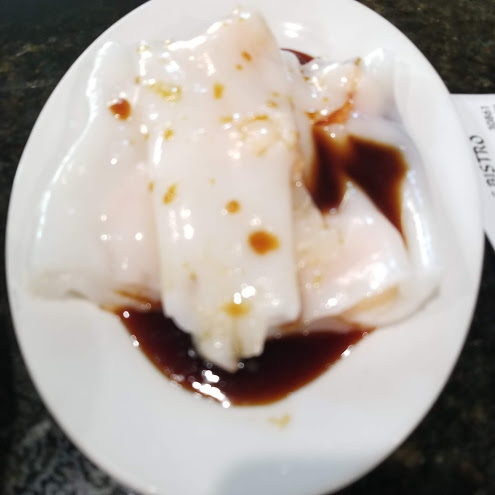 I will leave you with one more dish the Rice Noodles stuffed with BBQ Pork. This is a thin crépe roll made from a wide strip of rice noodles filled with shrimp, beef, vegetables, or other ingredients. Seasoned soy sauce– sometimes with meat drippings is poured over the dish upon serving. Our order was stuffed with tender pieces of BBQ pork. We loved Mings Bistro, we savored every dish and regretted none that we ordered and moaned about those we did not. I hope to get back before I leave the area. 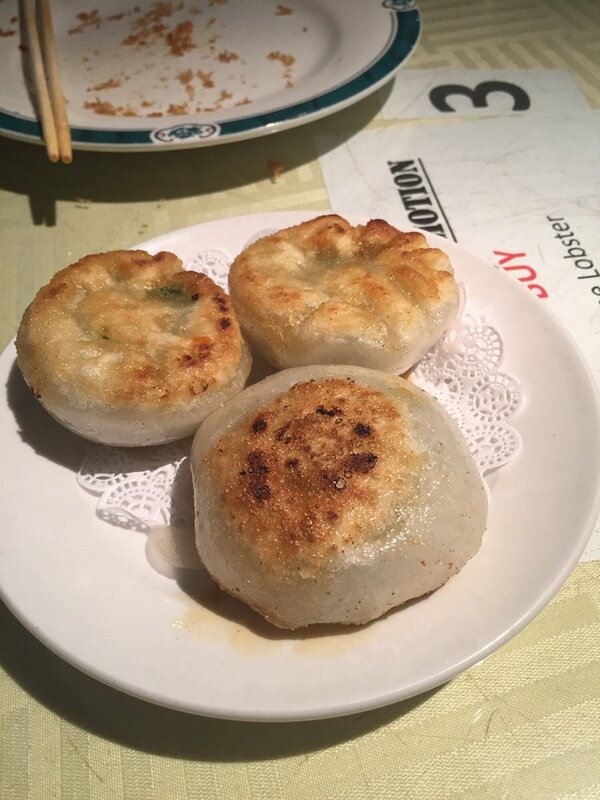 If you are a Dim Sum fan, I urge you to give this restaurant a try.